You think 3D TV is impressive? Japan wants to broadcast 3D holograms to stadiums all over the world for the 2022 World Cup. 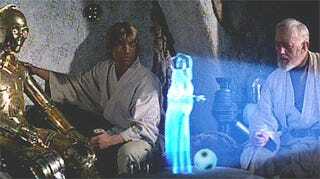 Yes, 3D holograms. They claim they'd be able to pull this off by capturing the action via 200 3D HD cameras at each game while microphones under the field would record all the sound. They then just assume the technology would be available for projecting 3D holograms onto the field itself, making it seem like you were watching the game in person. Oh, and did I mention how they'll power it? With electricity generated by spectators cheers and foot-stomping, of course. That and the power generated by good vibrations from all the fun those fans will be having, I'm sure.